Toyota Motor Sales U.S. executives have angered National Newspaper Publishers Association (NNPA) Chairman Danny Bakewell Sr. and America’s preeminent Black newspaper publishers after the troubled carmaker backed out of a multi-million dollar advertising campaign targeting Black consumers. In a letter to Mr. Bakewell and the NNPA, Toyota executives said that Black consumers of Toyota products receive their advertising message from a number of media channels which include mainstream media, white media – thus implying that advertising in the Black newspapers was unnecessary. This decision comes after months of meetings between Toyota executives and the NNPA, a network of 200 Black publishers representing over 19.8 million weekly readers, approximately half of America’s Black population. 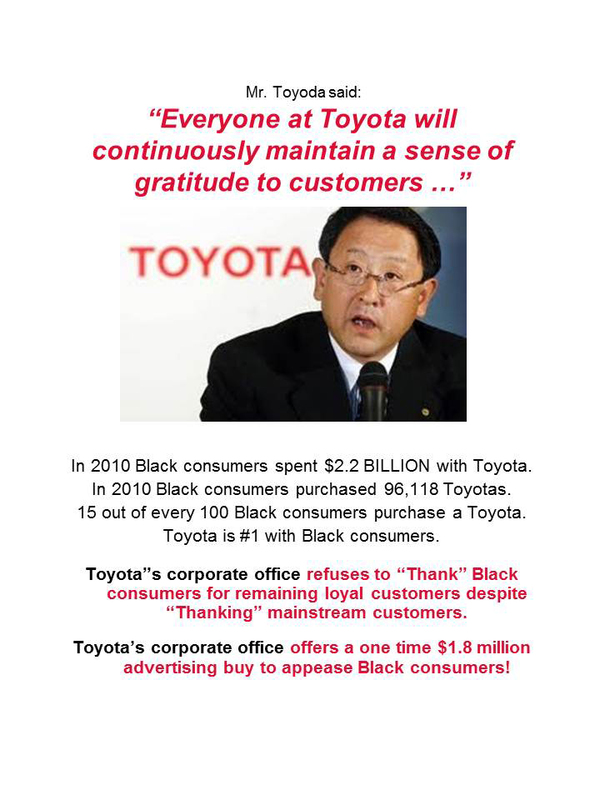 The issue first surfaced with Toyota’s unwillingness to run “Thank you” ads in Black newspapers. This was after Toyota spent millions advertising in white newspapers after last year’s safety recall. NNPA publishers plan to run full page ads in their newspapers beginning next week in response to what they feel is another example of Toyota sending a clear and direct message that Toyota disrespects, undervalues and takes the Black consumer for granted. 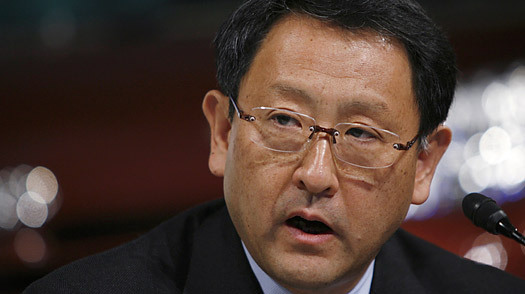 The ads will ask Mr. Toyoda to stop disrespecting and exploiting Black consumers – their customers. “Toyota insulted us by putting those thank you ads in white newspapers and refusing to address Black consumers in Black newspapers,” said Walter Smith, publisher of the New York Beacon. Even though African Americans contributed $2.2 billion to Toyota’s annual sales, this was the second time that Black newspapers and Black consumers were not included in Toyota’s advertising campaign. The first being Toyota’s immediate response to its sticky gas pedal defect which resulted in full page newspaper ads in white newspapers in 25 cities. According to research from leading automotive marketing research firm R.L. 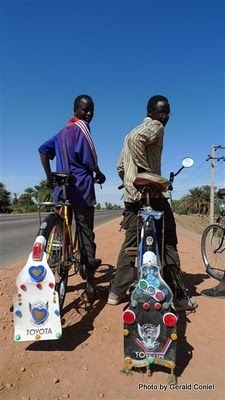 Polk & Co., Black consumers represent almost 10 percent of Toyota’s American market share. Fifteen out of every 100 Black consumers purchase a Toyota. Last week, Toyota Vice-President of Product Communications Mr. James Colon left a phone message for Mr. Bakewell instructing him that he planned to reach out directly to NNPA’s publishers in an effort to bypass the organization’s leadership and speak directly to the organization’s member newspapers – an unprecedented move which clearly violates protocol. 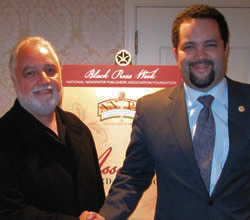 Peggy Hunt, publisher of the Tri-County Sentry in California, said that she was very offended by Mr. Colon’s suggestion that she break rank and not follow the strong and unwavering leadership of NNPA’s Chairman Mr. Bakewell. Currently, Toyota spends $1.6 billion annually advertising in America, of which $20 million is spent in total in Black media – including radio, print, television, and digital advertising. However, Mr. Bakewell pointed out, the media Toyota uses to reach Black people is not always Black-owned even though Toyota claims to spend $20 million on Black-owned media. Burrell Communications, Toyota’s advertising agency of record for the African-American market, has repeatedly claimed that Toyota’s commitment to diversity is reflected in their partnerships with many highly respected minority organizations throughout the country. And while calls to Burrell’s co-CEO Fay Ferguson were not returned, Toyota’s James Colon was quick to point out in his letter to NNPA’s publishers that through partnerships with Black organizations, Toyota has demonstrated their commitment to Black people. Mr. Bakewell says that given the $2.2 billion spent by Black consumers with Toyota, he’s issuing a challenge to Toyota regarding the amount of money they spend with national Black civil rights organizations including the NAACP, Rainbow PUSH, National Action Network, National Urban League, UNCF, NCNW and others. A good start for Toyota would be to give each of these organizations $3 million annually. They do the business of defending and enhancing the quality of life for African Americans and our communities and they shouldn’t have to do that on a shoestring budget. Many of NNPA’s publishers were shocked at the audacity of Toyota to bypass their elected chairman and leader – a move many say illustrates the disrespect that Toyota has for African Americans. NNPA Chairman Mr. Bakewell says that he plans to call on the chairman of the Congressional Black Caucus to request hearings regarding Toyota’s relationship and business practices with the African-American community. “We will not let up or relent until Toyota does right by our people, and I am not alone. I am 200 Black newspaper publishers strong, with the support of 19.8 million weekly readers throughout America,” stated Chairman Bakewell on behalf of the NNPA. 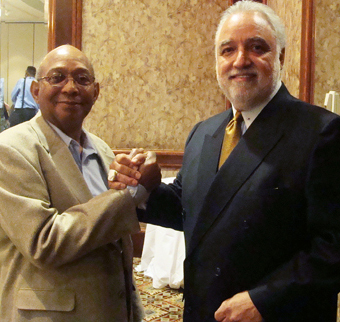 NNPA, the National Newspaper Publishers Association, serves nearly 200 Black newspapers. Read more stories from the Black press at www.BlackPressUSA.com. If I see an ad for Toyota in this hate filled, conspiracy theorizing, race baiting, self dealing rag I'll never buy a Toyota again. There's white newspaper's? Who knew? Seriously, what do you want your own drinking fountain? Seems the NNPA can't take rejection. Toyota says "no" to advertising with black newspaper and somehow that meant "Toyota don't care about black people"?